So as you may or may not have heard, come patch 6.0 challenge modes will be retired for good. Their achievements will become feats of strength, with a few exciting changes to boot. The title from bronze master becomes account wide, If you are a silver master you will be able to buy ALL the phoenix mounts, and they will all be account wide. One big thing that may or may not help out, is getting at the least Mogu-shan palace or Gate of the setting sun. Having a gold time on a challenge mode gives you a teleport to the instance, this is NOT stated clearly in the achievement window and people may therefore miss it. 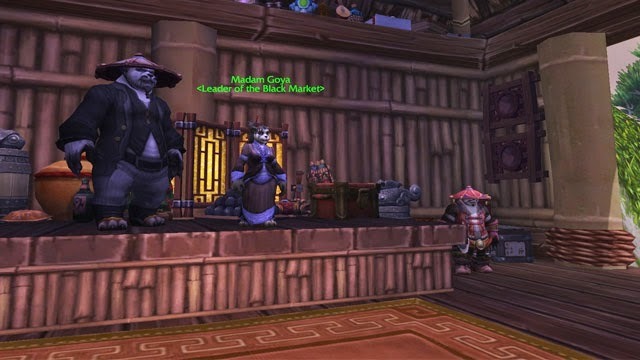 These instances are closest to the black market auction house and the shrine respectively, assuming draenor will not have portals from the start -(would suit their philosophy of dragging content out with flying also coming a patch later) the shrine will be a great thing to have easy access to. Get bronze for account wide "The Undaunted"
Get silver for ALL phoenixes account wide. Get one or more gold modes for their respective teleports - NOT ACCOUNT WIDE, NEITHER WILL THE GEAR FOR FULL 9/9 BE.